Display your Netatmo weather station data on your Joomla website. 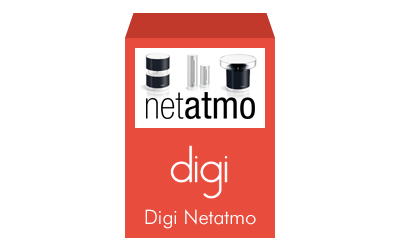 With Digi Netatmo you can easly integrate Joomla and Netatmo, to show on your website the data coming from your Netatmo weather station. This happens through the Netatmo API integrated in the Joomla module, allowing you to set up which data you want to show and in which way. This is the first module Joomla Netatmo that can be useful each time you want to show on a Joomla weather module the real time data: sky slopes, hotels, bed & breakfast, boats rental, riding school, outdoor activities, are only some examples of websites which could need to show to the visitors the real time weather. The set up of the Joomla weather module is very easy, after have entered your own Netatmo account data, you can select the Netatmo weather station, the external Netatmo modules and then the data to be shown on Joomla. Other options are available, as the slide show display and the backup of all the settings of the module in the back end. Due of Netatmo API compatibility, this module cannot run on PHP > 7.0.28. Read more informations here. Bring on your Joomla website the internet of things!